So my cousin’s good friend just had a baby. I told her life would be different for the two of them and would never be the same. She asked about what to do and how to visit so here are some Do’s and Don’ts that I thought of. -touch the new mom’s belly. It has happened. It is weird. There is no baby inside it. Back off! -say the baby only looks like dad. Note: Mother delivered the baby. -ask if labour was painful. It was. And if your labour wasn’t, please do share tips. -only bring a gift for baby, more mentioned later. -ask new mom when she’s planning to have another kid for a while! -stay for a long time. However, if you are a relative, then make sure to stay and to do some chores while you’re there. -tell her or any other mom for that matter that she looks tired. Actually, don’t tell any female she looks tired. -compliment the baby, even if baby is not having a cute moment! 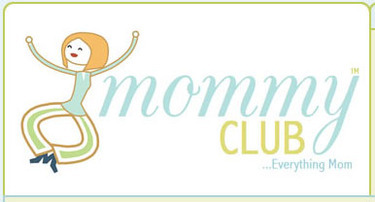 -bring a non-mommy gift for the mother! The mother has just done a lot of work (it’s called labour for a reason), so pamper her! My favourite gifts I received were a mini compact lip gloss kit and Victoria’s Secret perfume. Gifts for the mommy will stand out from the myriad of baby gifts received. Enough said. -bring homemade food. Mothers won’t have time for great meals. Mums will be eating a lot of store bought food and will definitely appreciate homemade food! -again, leave early. Do not linger. The mother has most likely stayed up the whole night and cannot wait to get some sleep! She also can’t wait to get out of her clothes, that probably do not fit her right at the moment, and get back into her PJ’s! These sound like excellent tips. I have never had a baby but my sister has had two and I’m proud to say I did not do anything on your “don’t list. Phew! Very funny article – thanks for sharing! Thanks :)! I know it’s tricky to know what to expect as a new mom and new mom’s friend! Hello, we really like your blog. We were brought here after you visited our blog The Story Of Sophia or http://www.anewbornslife.wordpress.com. I am still trying to figure out and understand blogs, but my fiance and I were just taking a look and really liked it and will be subscribing to continue enjoying your posts. Did you get a chance to see all of our blog, Or I guess read it since there is not much to “SEE” yet as we have not got to the point of putting up photo’s. Not to many to post yet, except for the ultrasounds and photo’s we have of the growth of her belly. I will have them up soon but need to edit them as Ultrasounds, as you know, have personal information on them that we do not want shown to the world. We are still deciding on if we are going to actually post photo’s showing our faces, as you can see I have not even revealed our names yet. I do not care personally for myself, but the safety of my daughter means everything so I am still contemplating the whole thing. But we would love your feedback on what you thought of our blog. And if you subscribed to it or what you did that told us you had visited it. But as you may know from reading our blog I am a rambler and now I am talking to much on your blog 😦 sorry I couldn’t figure out how to send you a private message, but am sure you can just delete this after you read it should you not want it on your blog. so thanks again, and keep up the good work!! Hi! I stumbled upon your blog when I wanted to find more parenting blogs. I looked under Tags and clicked on parenting. I liked the title of your entry, a letter to daddy’s daughter. I know your daughter will be touched and think it’s cool that you already have a head start on a parenting blog! I’m into my daughter’s privacy too so for now am doing more profiley pics. Initially, I was doing photos of her but when I got more views, I ‘m doing the profile thing for now. I hope you continue to like my blog :)!! Thanks!